Quotes from “Proof of Heaven” by Eben Alexander M.D. in black. This Being was so close that there seemed to be no distance at all between God and myself. This is so DA. His voice has a multidimensional effect on the listeners: we see, hear, feel, and grasp the emotion, as much as we are “held” by it. The questions, and the answers … didn’t come in the form of language as we know it, …[this Being] possessed the qualities we possess, only in infinitely greater measure. It knew me deeply and overflowed with … warmth, compassion, pathos … even irony and humor. I love the way he describes God here, complete with pathos, irony and humor. This I see in DA’s song choices. He never shies away from the difficult aspects of life. He sees life as a complete experience, he sees people as complete individuals. 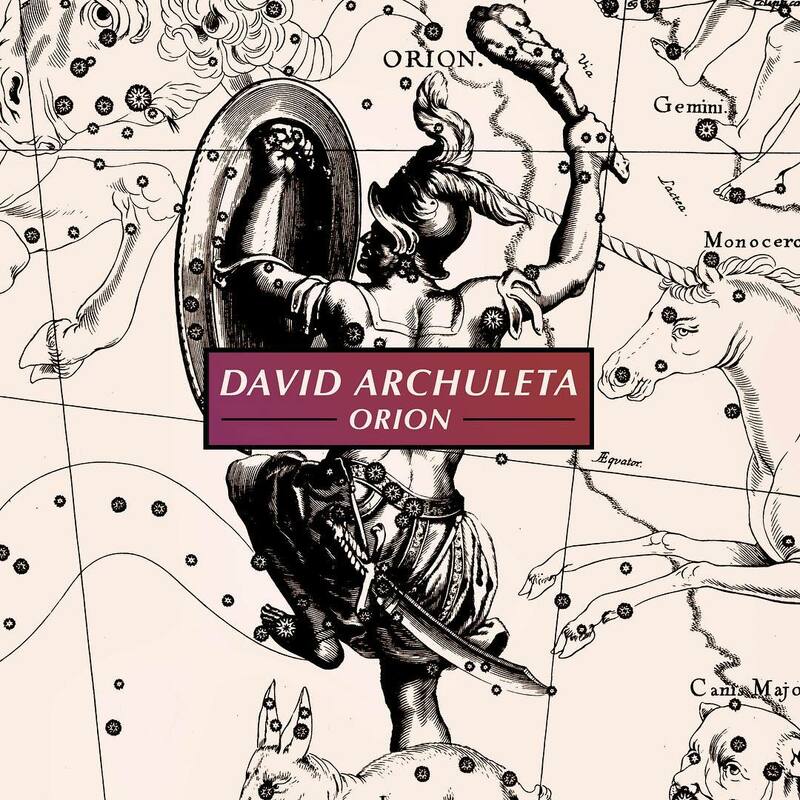 Thus his “simplicity” encompasses all of life; and rejoices: “… a deep but dazzling darkness.” To me, many of these concepts are beautifully expressed in the song “Angel” and the way DA sings it. Love is, without a doubt, the basis of everything. … This is the reality of realities, the incomprehensibly glorious truth of truths that lives and breathes at the core of everything that exists or that ever will exist, and no remotely accurate understanding of who and what we are can be achieved by anyone who does not know it, and embody it in all of their actions. It is my belief that we … need to recover more of that larger knowledge while living here on earth..
Small particles of evil were scattered throughout the universe, but the sum total of all that evil was as a grain of sand on a vast beach compared to the goodness, abundance, hope, and unconditional love in which the universe was literally awash. The very fabric of the alternate dimension is love and acceptance. Our truest, deepest self is completely free. It is not crippled or compromised by past actions or concerned with identity or status. It comprehends that it has no need to fear the earthly world, and therefore, it has no need to build itself up through fame or wealth or conquest. Although still finding his way (and that is as it should be) I can think of few people who carry a mantle of personal freedom as unselfconsciously and as graciously as DA does. How do we get closer to this genuine spiritual self? By manifesting love and compassion. Why? Because love and compassion are far more than the abstractions many of us believe them to be. They are real. They are concrete. And they make up the very fabric of the spiritual realm. One of the biggest mistakes people make when they think about God is to imagine God as impersonal. [God] knows what we have forgotten, and understands the terrible burden it is to live with amnesia of the Divine for even a moment. “Amnesia of the Divine” What a wonderful way to describe such a desolate feeling; hunger for a sustenance we do not always know we need or even that we lack. But when DA sings, sometimes, somehow, we remember. DA shines, pure and simple. I believe it is because of his constant search for the companionship of the divine: not as an act of separation from humanity, no, he is the faithful pilgrim, who seeks the divine within humanity. Here is the “nakedness”, the total leap into the unknown, the complete vulnerability – because of his deep inner knowledge that the unknown is the known. The “expanse” is the one thing closest to our hearts: our true home. So he has no fear there – no unfamiliarity, only a bright oneness, a freedom… a naked, shining heart. Clothed in light and love. Safe. His. Mine. Ours. I will forever be grateful for his willingness to allow the wings of his heart and voice to unfold. Bluesky is a staff writer for The Voice. This entry was posted on Saturday, September 7, 2013 at 1:25 AM	and is filed under Uncategorized. You can follow any responses to this entry through the RSS 2.0 feed. You can leave a response, or trackback from your own site. 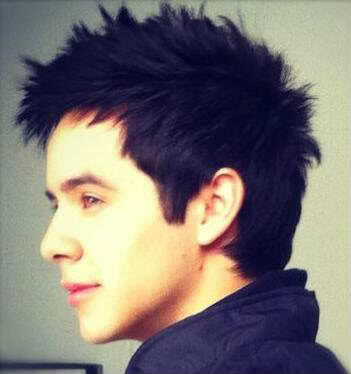 That is one of the most beautiful pieces written, That is David ! He brings us hope,happiness, love. 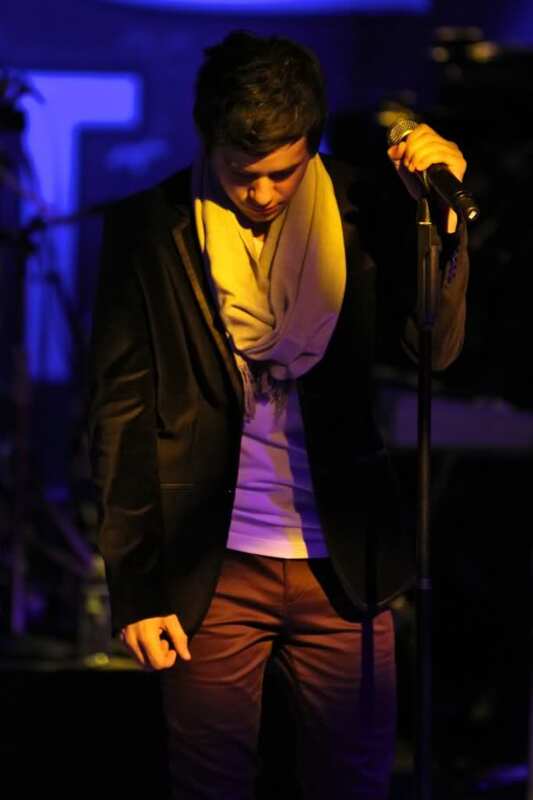 contentment.He has the most beautiful voice on the planet.He is just a beautiful human being ! Cant wait tell he gets back !! I read “Proof of Heaven” about 6 months ago. It had a profound effect on me and how I think about what a supreme being might be. Pure love. Dr Alexander give us a front row seat to the here-after as experienced by him. It was very in depth to say the least. Your post, and how you have related some aspects of the story to David and his spiritual connection through singing, is spot on. 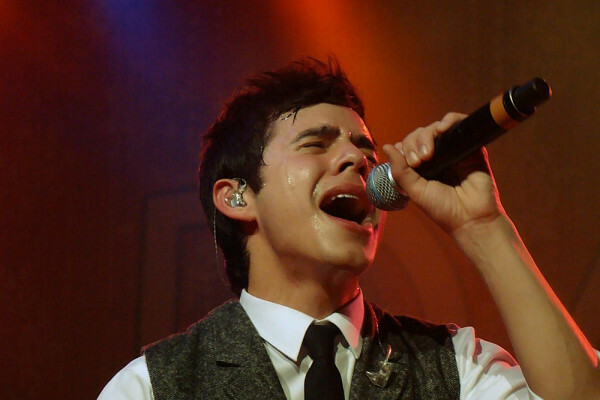 He has said that he knows that his voice was is a gift from God. 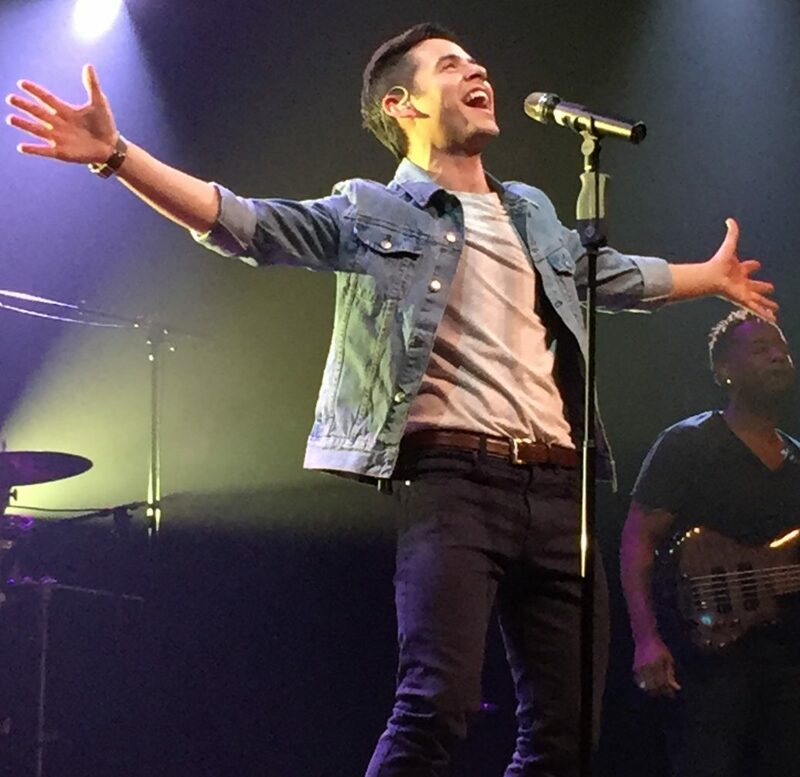 That he uses song to uplift the hearts of those who listen, is proof of Heaven on Earth. To me this statement describes David’s outlook on life from what he has said over the years. Just my personal opinion, of course. 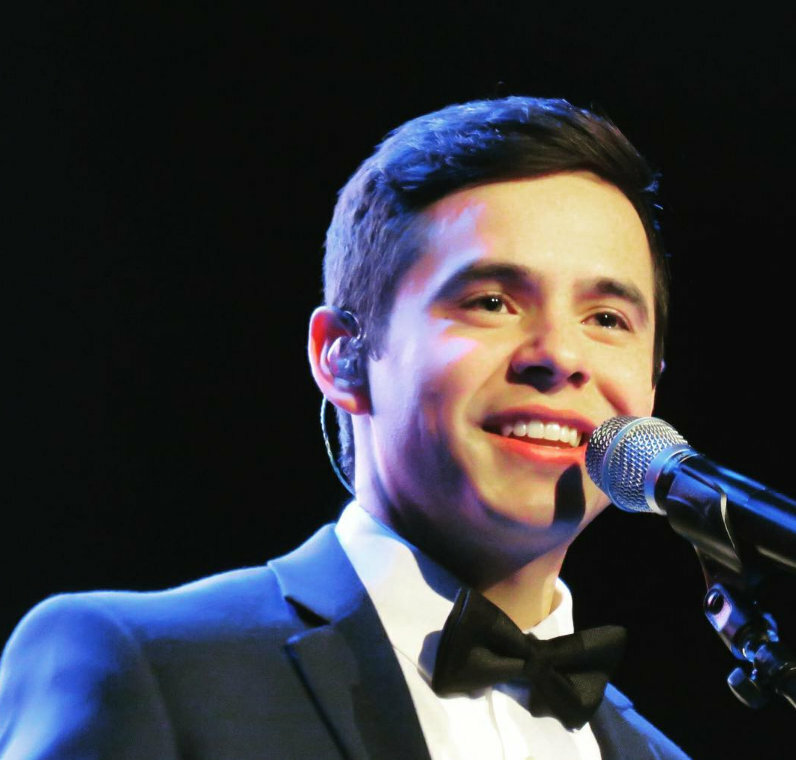 A beautiful article to showcase our beautiful David. I cannot think of another performer who could be so completely and honestly deserving of such an article. Hope your day is wonderful! Back later to respond to your article, which I love. 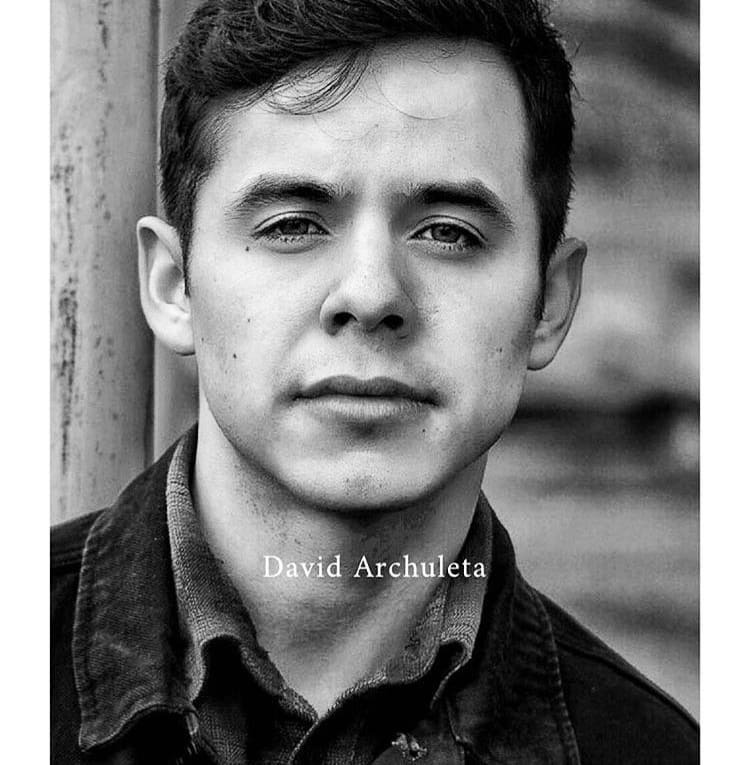 Blessings to you on your BD, Bluesky, a day for you to receive gifts but, today, YOU HAVE GIFTED US with one of the most beautiful expressions of who David is and why he makes us feel the way we do, when we hear his voice and witness how he lives his life. THANK YOU! Happy Birthday Bluesky! I am so glad you were born! Thank you for this beautiful essay–it is so rich– like a box of chocolates of truths–I want to re read it when I have a little more time to think on it all– maybe one thing at a time. Bluesky, you have brought me to tears. 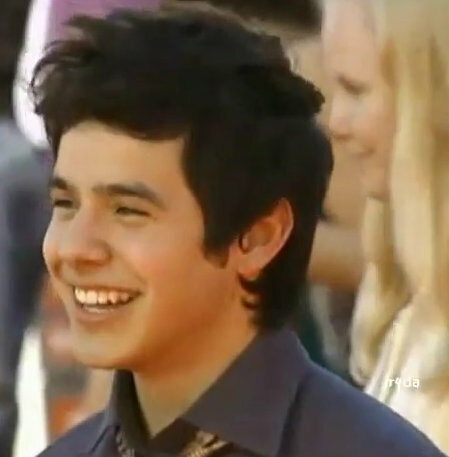 Perfectly capturing the essence of what I feel when I hear David, see his smile, catch his gaze. You’ve gifted us with a beautiful piece on your birthday, what an amazing blessing! Going back to read again and again. So many thoughts and reflections to absorb all at once. 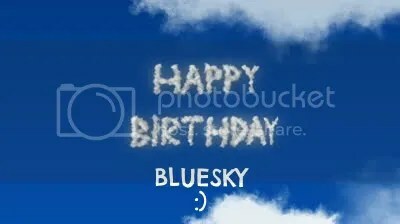 Bluesky, Happy birthday! And, yep, I’ve read it twice now…what a great article. Love every word you said, comparing it to what Dr. Alexander said. I just have to get that book to read. 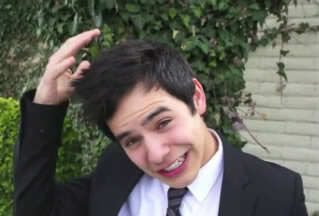 ♥ David, so young, but so ingenious and talented. He is everything you said and more! I always get excited when I see an article from you because you make me think. I might not always understand where you’re going, but by the end, I get it and feel enriched and enlightened. Thank you! The comparisons to David are spot-on! He’s always in the moment, enjoying not just the big but the little things in life. And he has more compassion than most people, in my humble opinion. 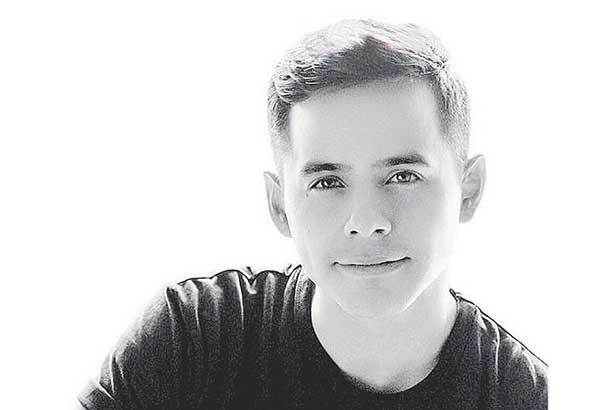 You wrote a beautiful tribute to David who brings us joy and hope in his angelic voice. Wishing you a wonderful birthday, surrounded by everything you love most! Emifriend: You always have an encouraging word to say, whenever I read your posts. You have a gift of optimism and sunshine. Djafan: You are amazing. Thank you for all you do. Jans11: Hope you like the book. Let me know? Bebereader: When I think of thinking – I think of Pooh Bear tapping his head and waiting for thoughts to come… that’s what it is like for me, anyway. Thank you for your encouragement. Not to take away from the beauty of Dr. Alexander’s writing, and how David’s artistry makes us feel, but the claims he makes are scientifically controversial. Beautifully said, Bluesky. This really touched my heart and made me contemplate my life. You were inspired when you wrote this. Thank you for sharing your insight into the mind of a young man with a purpose. I wish everyone could open their eyes and hearts to God like David has. What a beautiful world it would be if we all were strong in our faith like David. Scientific controversy can be fun and enlightening. We like to search things out, turn them over, take them apart. This is okay. It is part of our nature. At the same time, as you say: It does little to “take away from the beauty of Dr. Alenxander’s writing, and how David’s artistry makes us feel”. It does little to change the message of his (Dr. Alexander’s) personal story, what it means to him, or how that experience has effected his life. I agree with you: …DA’s artistry and how it makes us feel… that is what “it” is all about. A gift freely given. Thank you for your comment. You have such a beautiful way with words. 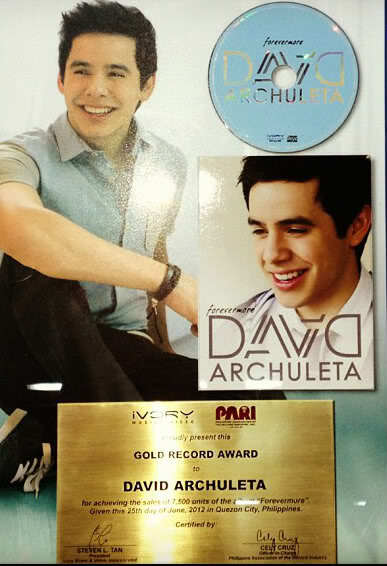 ♥ Thanks so much for sharing with us. Happy Birthday, Bluesky! I hope you had a fabulous day! Bluesky – Happy Birthday! Thank you for writing down your thoughts for all of us to enjoy and appreciate! So beautifully done. Time for a Sunday puzzle!! You know I am tricky, right? Gladys, Your blog is so sweet and thoughtful! 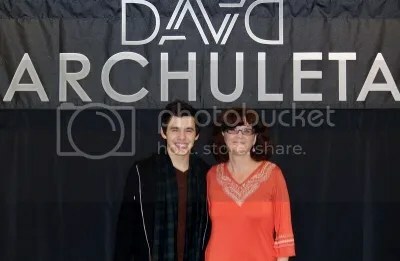 Bluesky — thank you for your article and your take on excerpts from Proof of Heaven as they can be related to David, his beautiful persona and his magnificent talent. I had downloaded the Kindle version to my laptop after the book had been mentioned in unplugged by Abrra and Betsy but had not taken time to begin reading it until yesterday after seeing your article. It is a fascinating read and I’m looking forward to finishing it — so much to think about and perhaps draw comfort from. Gladys — enjoyed your blog and yes, COS does need to be translated into all languages. Also, so excited that you have obtained your passport and visa — all ready now for 2014! Thanks for the jigsaw, Abrra, I love doing them. I think I need more practice as that one took me 32:18, and didn’t even have to rotate pieces. Gosh! Abrra, tough one this time – 14:04 – pre-e-e-etty proud of myself. Emmegirl… Hugs from here! You are one that always brings a smile. MT…mmmmm. What kind of cake was it? Tawna21…we keep trying to find the words, don’t we? Collegemom…. Wow. I remember loving your comments in various places… Years ago. (Oh my gosh…how weird it is to say that!) thank you for taking the time to comment. Bluesky, you just write so beautifully. Thank you for this. Thank you for drawing attention to this. a Kindle purchase I wasn’t waiting for. You know what it is? It’s comforting. Anyone who has lost someone could benefit from this, controversial or not. The first thing I thought of was a friend of mine, who was in distress. She had 2 brothers and lost them both in 4 weeks time, in March and April. The details are horrific in both cases. She was so sad. Anyway, I picked up a copy of the book for her. She read it. Her husband read it. Then she gave it to her mom. Her dad was getting it next. Even if it made her feel better for a second, it’s worth everything. That is largely what I took away from this book. Betsy… Love is, without a doubt, the basis of everything. I agree. This post was not about my personal beliefs, but about one person’s description of an event that was life-changing for them. 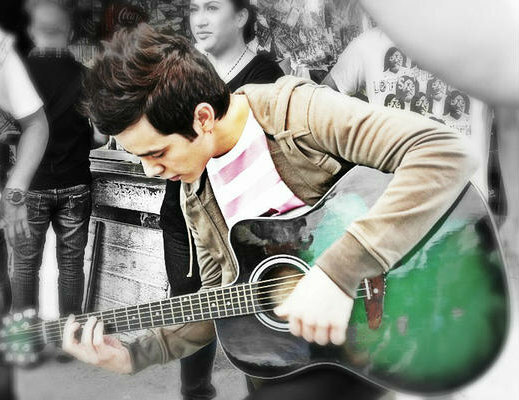 And how that description reminded me of DA and his many qualities of song. How many of us have had our lives changed by something that seemed inexplicable to someone else? I believe these “unexplainable” happenings can often be some of the most valuable in our lives. We each have our own. Things that we share only when we really feel they can benefit someone else, things we treasure, and that give our lives a deeper meaning. I appreciate how you shared with others. How do we show love other than by sharing something we hold precious? DA shares music and music is important to him. 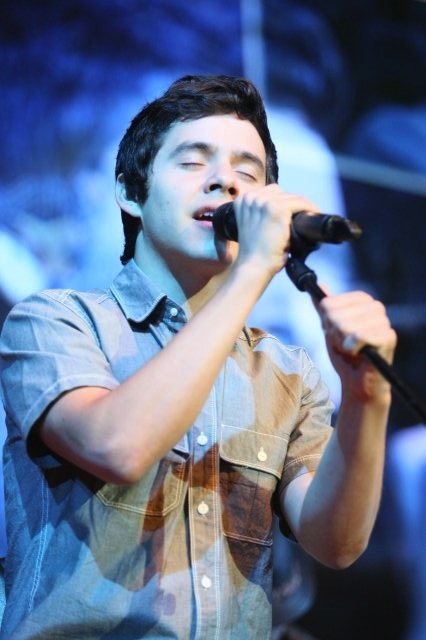 We feel his depth of passion. It grounds him and it grounds us when we listen to him. I hope I always have the courage to share what matters most to me. Therein lies joy. Why would I want to share something less? YIPEEE!!!!!!! THE COUNTDOWN CLOCK UNDER 200 DAYS. Love seeing that one. Thank you to everyone that keeps this site going, I mostly lurk and love coming here to read posts, comments, look at David gorgeousness and watch the clock go down, lol. love it all. Bluesky, I hope you didn’t think my comment was in any way directed at your personal beliefs, I never thought of it that way at all. Not for a second. I totally understood what you were saying. I’m going to have to read the book after reading this article and the comments. It’s all about the feeling, this dang feeling he makes me feel. Betsy ❤ no… I never thought that… rather, I thought only to commend you for your integrity! I absolutely felt that you "got it" and I was so glad that you felt comfortable sharing your experience. That was all I meant: that sharing our best is what enriches our lives. You did that! There is no greater gift. Thank you for commenting and giving me the chance to clear up any misunderstanding. I can sometimes be obscure in what I say…just when I am trying most to be clear. (open mouth, insert other foot – as they say) and writing is difficult for me. I am always a little surprized when people say they understand what I write. *_* This is one reason I appreciate the patience and the support of the admins here at this site. What I wrote in the comment was not about you, but about myself: That what I found in the book seemed so amazingly descriptive of DA and his gifts, and that I think that resonates and is beautiful. And then that some things simply cannot be "explained". And… your sister is blessed. In watching JTaylor this last weekend, I gained an even greater appreciation for him as a person. It was lovely. I would’ve never thought that. Bluesky, I couldn’t believe we wished you happy birthday and I forgot to make sure David sang to you! Belated but here is the best singer in the universe! Djafan: I do not know how to do “happy feet”… but if I did… I would!! Admin Edit: Bluesky, Here are some happy feet doing the happy dance for you! 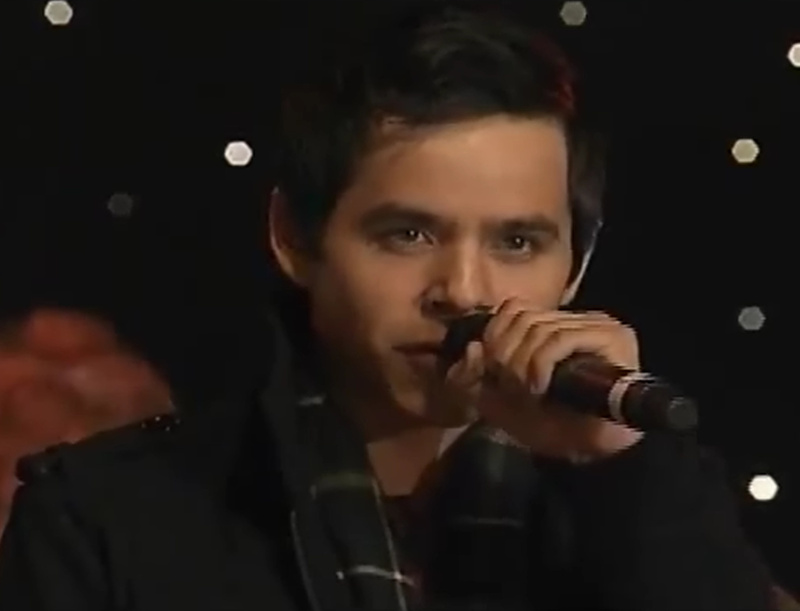 Love that video of David singing Happy Birthday. With that to look forward to, I might not mind having another birthday! Loving that bluesy “happy birthday”! One of his best! Thought I would share a quote by Norman Vincent Peale that I read for September 9th. I thought of David when I read it….”To be successful is to be helpful, caring, and constructive, to make everything and everyone you touch a little bit better.The best thing you have to give is yourself”. “I will forever be grateful for his willingness to allow the wings of his heart and voice to unfold.” that’s so beautiful, Bluesky. ““we see, hear, feel, and grasp the emotion, as much as we are “held” by it.” Are we ever!! new post on my blog. Thank you. Skydancer – thank you. ^_^ ditto to you. Abrra – 27 “nice photo” !!!!! Djafan – “it’s all about the feeling” Umm-hummm. Confession time: I never liked this song. I thought it was depressing and defeatist. I had my doubts about the “angel” mentioned — Was it drugs they were singing about? So, for me to include it here – and as the main selection for the article – was a major change. How did that happen? DA. 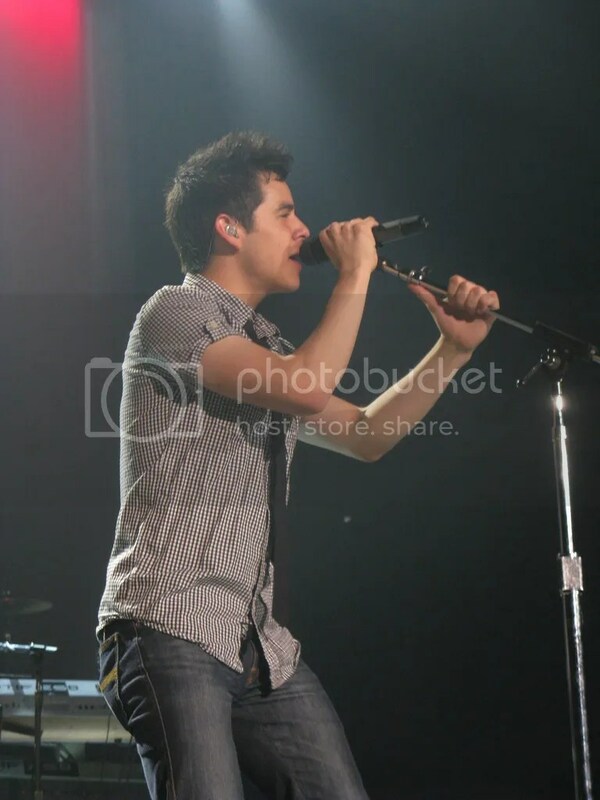 When he sings it, the whole feeling changes for me. The pathos, the sadness and grief are still there. But they are not alone. There is compassion, yielding, yearning, hope, and even comfort. That was why I loved what Dr. Alexander said in his description about God: it sums up so beautifully what DA communicates by song. His “simplicity” encompasses all of life – and yet rejoices. Part of his “old soul”, and a connection that, I believe, lies deep within each of us. And the endlessness that you fear. Memories from 2008 in Google Alerts today. Remember when EVERYDAY there was some new video or picture?? 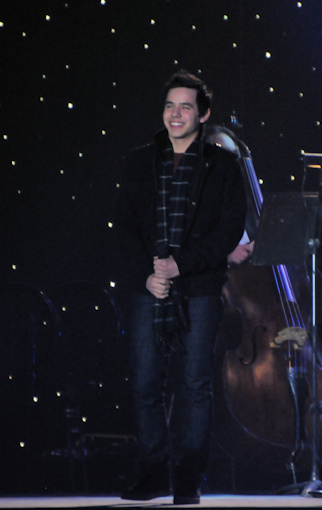 David Archuleta with the NYC Angels as he exits the Roseland Ballroom for Z100 Jingle Ball 2008. I have a passion for sunflowers!! I loved your article too! I just wish I could find a better translater than Google Translate. I know that some things must get lost in the translation! Thanks for the lyrics. Reading them while listening to David sing the song was a real treat! May I add that his enunciation of the lyrics is superb?! Another MasterClass Lady Retrospective, this time on David’s performance of “”Gotta Get Through This”. That picture up top…wow! You’ve done it again. 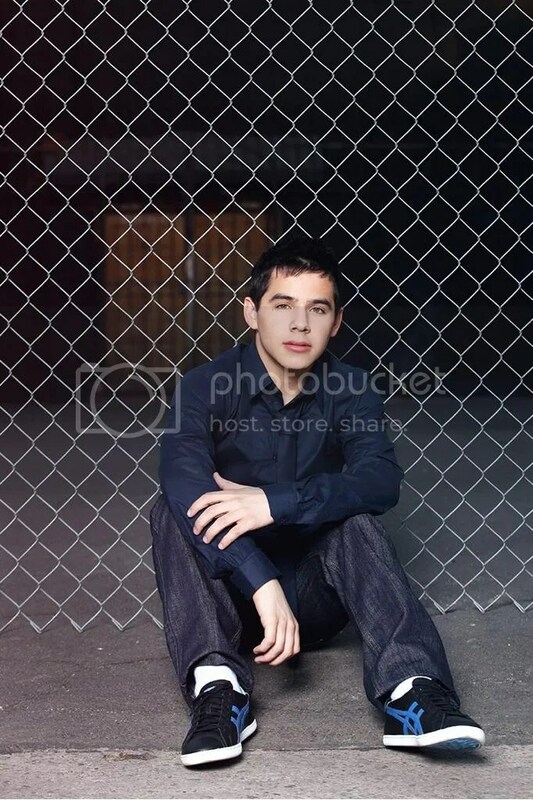 David looks like the young man he is. YES! 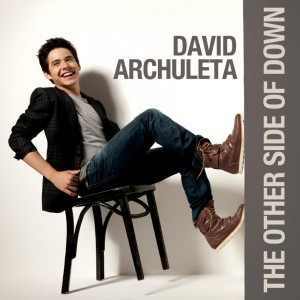 The song always depressed me but with David singing it takes a whole other feel. I listen to BEGIN. everyday on my way to work. It really is a remarkable album. Josh serenades Anya in this clip. He’s so good in this scene! I really hope he goes right back into acting when he comes home! I don’t care when we get it as long as we get it. If we get it at all. Back to comment at last. Sorry for the delay. Been down with a sore throat and fever all weekend, and just feeling better today. “DA shines, pure and simple. I believe it is because of his constant search for the companionship of the divine: not as an act of separation from humanity, no, he is the faithful pilgrim, who seeks the divine within humanity. I LOVE this. 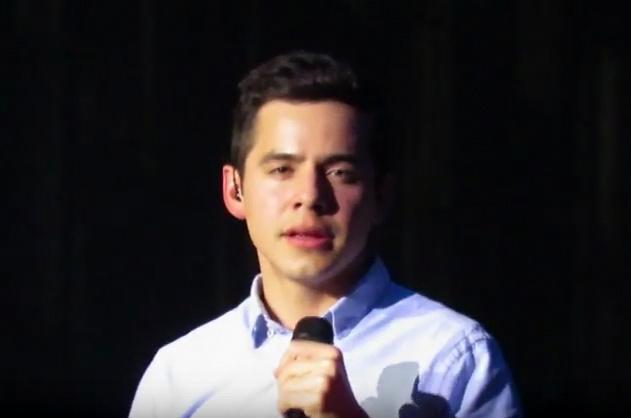 And if you had to make a sortie to the other side of here to get to there…to this ONE TRUE STATEMENT that sums up David Archuleta, it was worth the trip. Well done, my sometimes sideways writing, (but not this time) always eloquent friend. I am so sorry you have been ill. Having had a certain challenge myself that way lately, I know how hard it can be to “work, be family, function, etc.” and still have something left over. You are very kind to take the time to comment. We could send him some tickets. 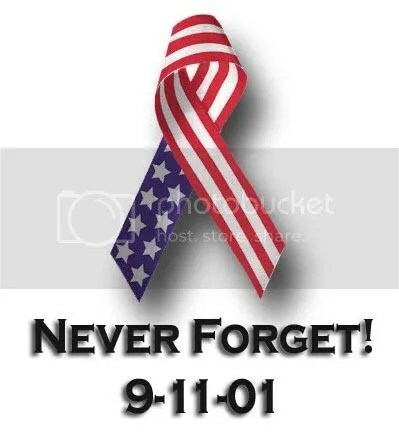 Today I will take time to remember those Americans who died in the 9/11/01 attack on our country. I cry for families who lost loved ones. I am thankful for those who made it out by some quirk of fate as buildings fell in a heap of dust. I am proud of those who gave of themselves to protect others at the expense of their own lives. I pray for the President to keep us safe from such violence ever happening again on our soil. When the towers came down I was in Europe away from family, and could not get back until they lifted the restrictions on travel (for those coming into the USA). I will never forget that feeling. Thank you for your post and the remembrance. Thank you Abrra. That was a horrible day that should never be forgotten. As a native New Yorker, 9/11 is always a hard day to get through, a day no American will ever forget. Twelve years later, the memories are still haunting. I’ll never forget the images of the firemen, feeling defeated. 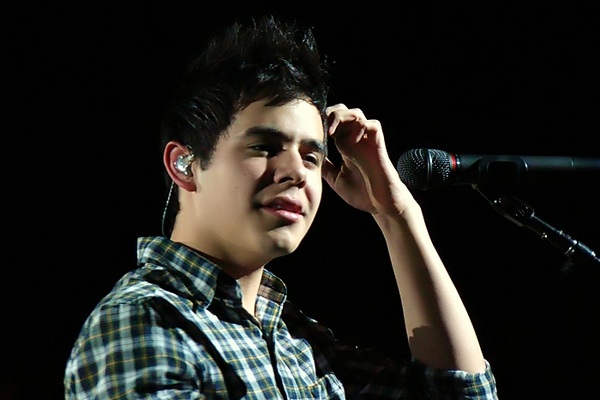 But I really find comfort in David’s voice, singing “I Will Always Love You”, in #55. 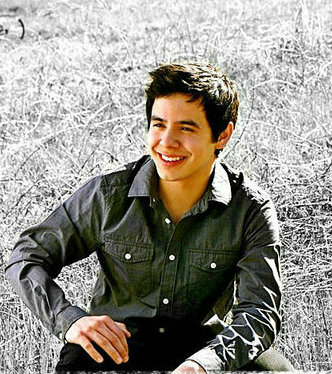 I’m just reminded of how much I love David Archuleta. Can’t believe I’m crying over him. Because you just miss him you know. It hit me. I know too, dja. I was just thinking how Begin., with its pathos and hope, is a good listen for this day. Thank you for posting little David singing for the firemen! He is just the best. This day is always so emotional because it is my birthday too. I try and keep a balance between the 2. The 11th is also a special b-day for someone in our family. Each family finds their own way to honor both the living and those whose lives were taken in that horrific attack. I like to think that instead of cloaking their day with a cowl of despair, it gives them an opportunity to view their life with even greater commitment and purpose. Lately, I have been listening to this song written and sung by Nathan Pacheco (in addition to my DA songs ^_^). It seems to bring me great comfort when I feel a bit lost. That’s a “stand alone” Abrra. Gosh, I am glad he does what he does. Anxious for him to be able to do more of it. Jans11 … so sorry I did not wish you “Happy Birthday! !” You deserve it! I hope you have a great trip. Happy Birthday Jan and have fun at the beach this week! Still caught in the vortex. I think I tripped over Betsy just now! Every…single…thing…he does is amazingly adorable. Somebody please explain to me how a﻿ person can be this perfect? Doesn’t this defy like some kind of physics law? I always get so emotional listening to him ramble, seeing his constant smiling face, and learning how he’s made such an impact on the world for the better….but then I remember I can never have him in my life..and I get depressed…. Cheer up sweetie! The days are growing shorter. He will be back in our lives very soon. “4 months ago” means that people are gearing up for his return. Amazing! 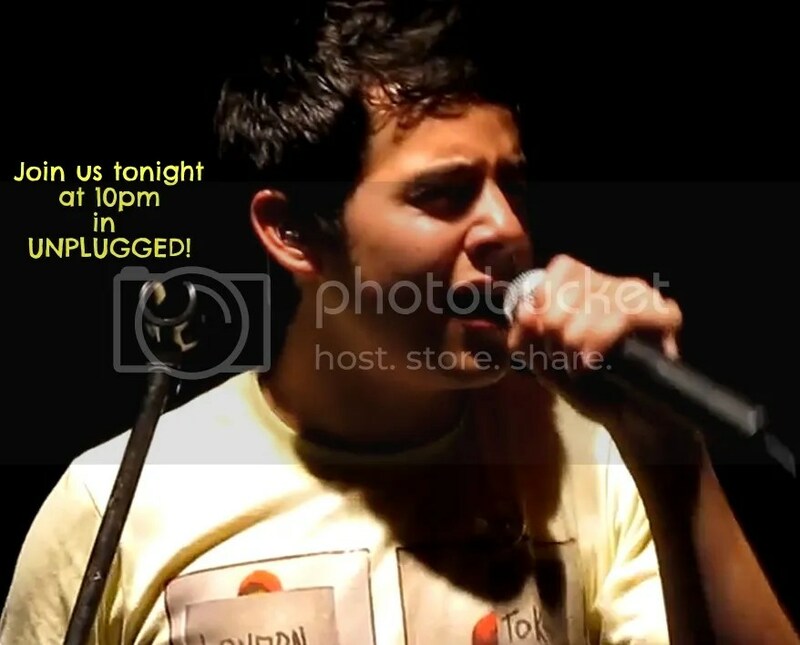 Abrra♥ so glad you were poking around looking for video’s for Unplugged and found that one. i have been lost in youtube for days watching old videos of our guy. then i come back here thinking this time i must make a comment about this beautiful post. 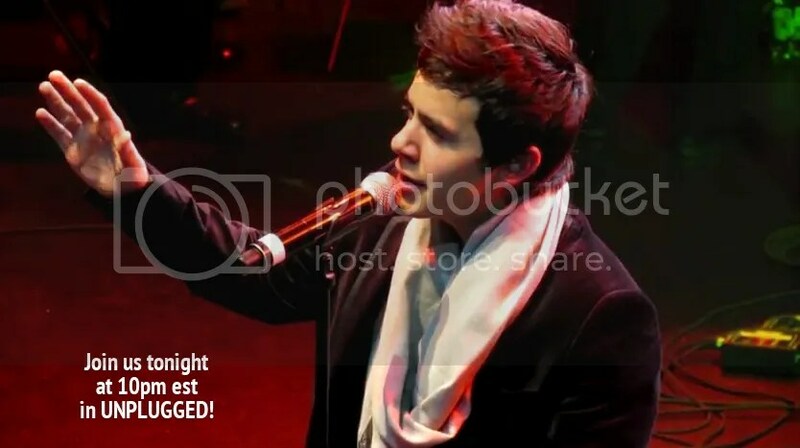 then i see that silent night and my girl video and back i go to youtube. he is singing holy night in my ear as i type. is this never going to end? help! Ah, it’s been way too long since I have been able to comment. or even read most of the wonderful comments here. I have been working 2 jobs and going to school the past few months, and I have terribly missed my “Voice Therapy” and the wonderful people who visit this site. Fortunately, I think I have been able to catch most of the awesome articles, and they have kept the Archu-flame alive and well! (Bluesky–what a beautiful, thought-provoking post) A big thanks to all of you who are keeping this site the same wonderful place it has always been! Here’s to a quick 6 months ’til our boy returns! Hope your day was as special as you are! It never ends, nor do we want it to! Welcome Back! You’ve been missed! “Here’s to a quick 6 months ’til our boy returns! Miss you guys – just been busy – but I’m going to be at chat Saturday night! You have been missed! Looking forward to having you in chat on Saturday! Ok, in my twisted mind (which can relate just about anything back to David) I found this paragraph from the bird of paradise article, FUNNY! ♫ Happy (Belated) Birthday to you….. ♫ Sorry I missed it. I hope you had a Great day!! So, he’s related to the bird of paradise, explains alot!! …and aren’t we the lucky humans that are in the vicinity!!! 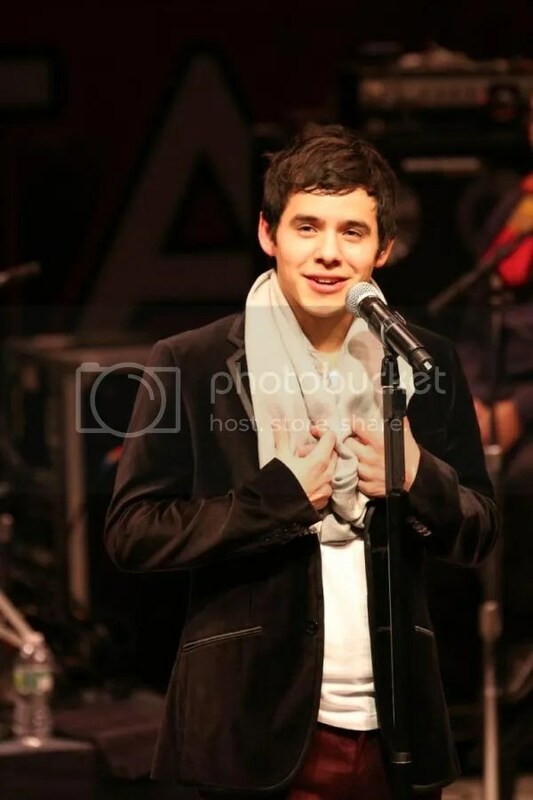 Abs, you know I love everything about the NH concert, don’t you? Also, I believe I’ve posted this video more than any other. I was at this show in October 2009. I was up in the hotel room with djbell and a few others. We were all waiting for her to load her videos onto YouTube so fans all over the world could see the performances. While hers were loading we watched Zero Gravity by 8throwcenter. When this one came up we all just stood speechless, reliving the moment. 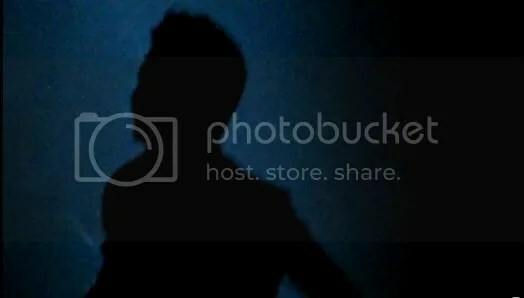 When the video mark hits 2:04 as he begins to exit in silhouette, I screamed”Roll it back!” EEEK! I made her rewind that thing 20 times and we all stood and watched as he turned from light to a shadow. It was just something else! It was such a perfect outline of him. He looked mystical to me. That was beautifully said. Thank you! I’m betting folks need to man their computers at the moment they go on sale. Personally, I plan to take the day off if I have to. LOL! I’ve thought about those VIP tickets selling out pretty quickly, too. I’m so afraid that I won’t get one! Will buying the VIP get me a concert ticket or do I need to buy the ticket separate? Do they announce ahead of time when the VIP tickets will go on sale? Do fans get advance notice, before the general public? Do VIPs for all concerts go on sale at the same time or do they put tickets up for one venue at a time? These are things I need to know . 😀 Thanks. Hahaha This is too cute! Will buying the VIP get me a concert ticket or do I need to buy the ticket separate? Answer: 1 ticket is included in the VIP package. Do they announce ahead of time when the VIP tickets will go on sale? 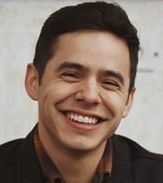 Answer: IF David uses the same company he always has, you need to sign up and check the box at the bottom to receive email alerts of upcoming tours. Do fans get advance notice, before the general public? Answer: See last answer. For best chance have them send alerts to your email and follow them on twitter. 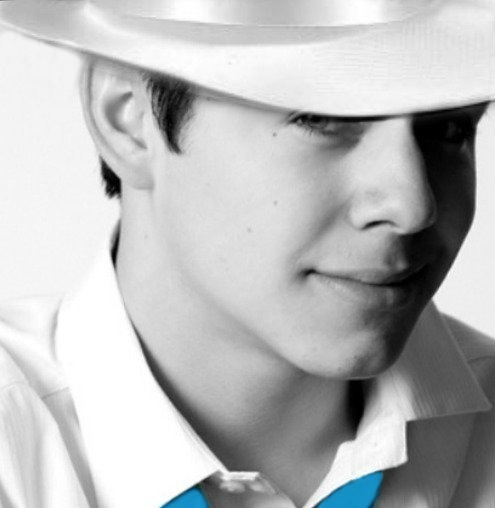 Once the info hits the fans sites, check VIP Nation several times a day to see when his tour page opens. You can’t see the tour page unless you are registered with them, as I recall. Do VIPs for all concerts go on sale at the same time or do they put tickets up for one venue at a time? Answer: The whole tour is posted at once so you will see all the cities. I can’t say if all cities’ tickets go on sale on day one, but I THINK they may. What I do is check the TIME (usually 10am or 12 noon) that the tickets go on sale. I sit on the site and refresh the page often, starting at 5 minutes til the hour. When the OPEN icon shows, I proceed to buy my ticket. Have your credit card in hand, as I think there is a 10min time limit to purchase. If you have to go looking for your CC and miss the timer, you have to go back to the start and try again. All this is from my memory. Things may change, but its a basic method. As practice, after you sign up, go back and pretend you want to buy a VIP from any of the tours listed. You will get some idea what the screens look like. Be careful not to buy anything! LOL! Awww … Betsy!!! Sweet picture! Abrra, Thanks so much for the info! I’ll try your instructions. It’s still so far away but I’m already getting nervous that I won’t get it right. LOL When I think about how I’m going to figure out which show, then if I can get a flight and hotel, then my ticket (Hopefully VIP), the “what if’s” start. What if I get the VIP and can’t get a flight or a room. What if I get the room and flight, then can’t get my concert ticket. LOL It makes me nervous just thinking about it and it’s still several months away. I can see why some fans have told stories about sitting at the computers and going nuts when their computer freezes, or they wait for better tickets and then the “pretty good” ones they could have gotten are gone and no better ones pop up. I thought it was funny … till now!! LOL I am going to be a basket case by the time an actual event is announced. Its easier if you have a travel buddy. You can share hotel expenses. There are plenty of hotels around the venues. Once you buy the “ticket” online they will send you an informational email with all the details. You print that out and bring it with you along with a photo ID. They have us show up about 3 hours before show time to get checked in and set up for the Meet & Greet with the Best Singer In The Whole World! She has a deadline of early October to submit the card for printing. Then it takes about 3-4 weeks for her to get the book in her hands. 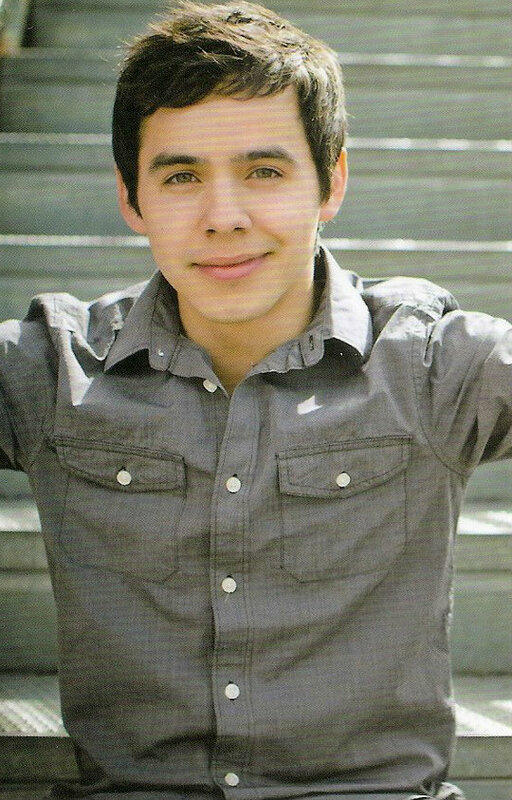 Then she has to send it to Kari who will send it to David in Chile in time for his birthday. Know what? no. you don’t understand it’s highly spiritual for me this song. it’s﻿ like it linked us as human, it’s like an attempt to fix everything that’s wrong. you don’t know me! then why do you serve me such divine glass of musical passion Now we’re friends cheers! since you’ve awaken in me my poetic sleeping companion. Just want to thank you all for the birthday wishes. I wrote out a big ol comment Thursday night but it wouldn’t post, 😦 And here at the condo, there are some internet issues. Hoping to get them ironed out soon. Love all the videos and comments. Abrra explaining buying a VIP ticket sure brings back some good memories 🙂 Can’t wait til we can do it again! Here’s a puzzle for your Sunday ! Nice jigsaw — but, is it just me or is there a piece missing? I’m at 98% and one blank space and no piece available. Curious. It’s probably stuck behind another piece of the same color. Move some around. If the piece doesn’t click in place, its the wrong piece. Well, I have wiggled and jiggled and pushed and shoved, and nothing changes — oh well, maybe I’ll start over and see what happens. Thanks, Abrra. Nice puzzle, Abrra! This was a tough one but fun. It’s okay — I did get it done after all by starting over. It was a good one.